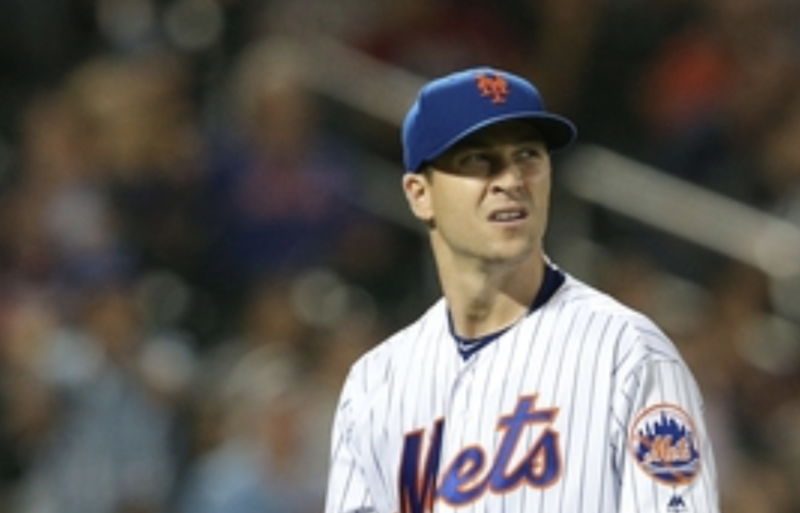 Jacob deGrom was on the mound last night which meant – you guessed it – little run support. The Mets’ ace, and probably the best pitcher in baseball in 2018, was handed a 1-0 lead after the third inning. Amed Rosario and Wilmer Flores manufactured a run after the speedy shortstop (not the one who just happened to stand at shortstop for a few seasons) stole second base and was singled home by the Mets’ first baseman later in the at-bat. Against a dismal San Diego Padres lineup, it seemed as if deGrom would fully lock in like he normally does and barrel through one of the worst offenses in the league. Unfortunately for the MLB leader in ERA, Freddy Galvis and Manny Margot were able to single and triple home a run in back-to-back at-bats to give the Friars a 2-1 lead. The top of the sixth saw poor defense hamper deGrom and co. Wil Myers hit a catchable ball to Jose Reyes (why is he still on the team? ) at the hot corner which was obviously not fielded. And then Eric Hosmer then hit a slow but choppy ground ball that was misfielded by Rosario leading to an unearned run. Down 3-1 in the sixth, Mickey Callaway’s crew showed some life after Reyes dribbled an infield single to third base, but despite the Mets’ best effort, it was all they would get for the rest of the ballgame. The Padres’ strong suit this year is their bullpen, and even without Brad Hand (a noun that has more than one meaning in this recap), it showed Monday. deGrom is now 5-5 with an ERA of 1.71 and 0.97 WHIP. I am in the ‘Don’t Trade Jake’ camp, but if the ever-so-generous Wilpons have no intention of immediately signing him long-term, then I guess trade options should be explored. The only return that would warrant dealing such an incredible talent would be an already serviceable everyday position player, an absolute top prospect and a mid-to-high level prospect. And even then, it may not be enough. It remains to be seen what Fred and Jeff have in store, but hopefully, it is a lot of cash and a long-term commitment. Noah Syndegaard was diagnosed with hand, foot and mouth disease Sunday. Yes, you read that right… Hand. Foot. Mouth. It is a disease contracted by children and it is likely Thor caught this disease from one of his camps with the youth. The Metssssss. Also, I am just going to say it and be done because it has been touched on countless times: WHY IS JEFF MCNEIL NOT THE EVERYDAY THIRD BASEMAN FOR THE NEW YORK METS?